Want the best protein powder to build ripped, lean and cut muscle? Here is an expert review of some of the most popular and best lean protein powder supplements in Australia in 2019. The results of this supplement review uncovers how these popular best ripped protein powders stacked up against each other and which protein powders will have the nutritional credentials to get you the best ripped, lean and cut muscle results for summer 2019. Our top 8 best protein powder reviews looked at overall nutritional info, formula, specification, type and specification of active ingredients, clinical studies and price. The ultimate goal of this review is to help Australians make a well informed decision on the best ripped and lean protein powder formula. 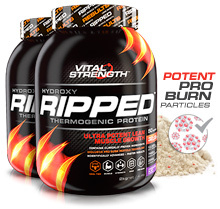 Is Vitalstrength Hydroxy Ripped Protein the best protein powder to get ripped, lean and cut muscle? Pros: Ticks all the boxes – is high protein, low carb and contains added fat burn ingredients including L-Carnitine and African Mango Extract that is backed by clinical research to reduce body fat. 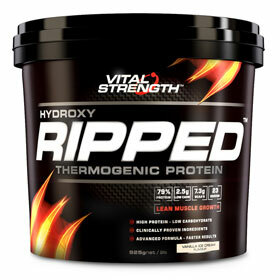 It is also one of the best value ripped protein powders available. Cons: If you want 100% WPI and you are willing to pay a premium, this formula isn’t for you. Verdict: A top ripped protein powder from a trusted Australian brand. Packed with active ingredients including clinically proven African Mango plus new specialised pro-burn particle technology making it a powerful ripped and lean muscle formula at a great price. Expert Tip: Checkout the www.vitalstrength.com/sale page as there are often some top deals and giveaways available. Is Horley’s Ripped Factors the best protein powder to get ripped, lean and cut muscle? Pros: Hits the mark on protein and carbs plus some good added fat burn and muscle recovery ingredients (L-Carnitine and L-Glutamine) for getting lean and cut muscle. Cons: With 100 mg of caffeine, 66mg of green coffee extract and an unknown amount of guarana this is not an ideal protein powder for anyone sensitive to caffeine. Also seems to be one of the most expensive ripped protein powders in most stores. Verdict: A comprehensive lean protein powder that contains most essential ingredients, the caffeine won’t be for everyone and paying a premium for the WPI seems pretty pointless given the strength of competitor formulas. >> GET RIPPED FAST. Read more ripped articles here. 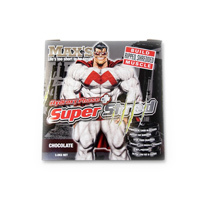 Is Max’s Super Shred Protein the best protein powder to get ripped, lean and cut muscle? Pros: Whey protein isolate is the core ingredient in this formula making it high in protein and low in carbs and fat while also containing many fat burning ingredients. Cons: Claims and images on the box are impressive but other reviews have questioned the accuracy of the numbers on the nutritional panel and the low dosage of the many active ingredients. Verdict: The ingredient list is long, but dosages are not particularly impressive. Very expensive and a smart consumer that can read a nutritional panel will easily find a better value ripped protein powder. 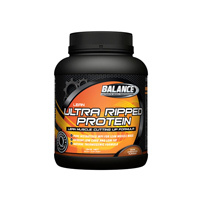 Is Balance Ultra Ripped Protein the best protein powder to get ripped, lean and cut muscle? Pros: High in protein, low in carbs and fat and contains a number of active fat burning ingredients, including l-Carnitine plus vitamins and minerals to help you build ripped and lean muscle. Cons: Many people liked the old (100% whey protein isolate) formula better than the new isolate/concentrate blend. Also contains caffeine which is not ideal for anyone sensitive to stimulants. Verdict: The old ripped and lean formula was better (gave you better bang for your buck). 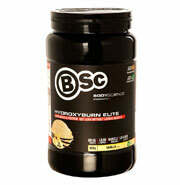 Is Body Science Hydroxy Burn Pro Clinical the best protein powder to get ripped, lean and cut muscle? Pros: The updated formula contains good active ingredients (L-Carnitine, African Mango Extract, Green Tea Extract and Green Coffee Extract) which have supporting clinical studies to help you get ripped and lean. Use of natural sweeteners Xylitol and Stevia will appeal to some men. Cons: Contains some lower grade proteins (eg: milk protein hydrolysate), plus the added fibre (Inulin and Psyllium Husk) which is more suited to a weight management formula. The carbs and fibre, has come at the expense of protein (65%) which is pretty low by comparison to other ripped and lean protein powders. Verdict: Pretty expensive given the 65% protein level. The African Mango and Carnitine are good, but overall there are higher protein and better value ripped protein powders available. 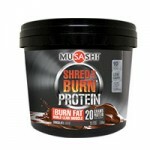 Is this Musashi Shred and Burn Protein the best protein powder to get ripped, lean and cut muscle? Pros: The HCA dosage is good and the TGA listed formula is great to see from an Australian brand. Cons: It was a sad day for Musashi fans when the Musashi Shred and Burn Protein formula hit the shelves. A measly 59% protein formula, no nutritional information panel and without full ingredients listed on the pack. Why? Verdict: A mediocre formula that doesn’t disclose fat, kJ or calories per serve and is clearly designed for the uneducated beginner. Included caffeine won’t be for everyone but it does taste OK, however, with such low protein and the absence of key ingredient information, there are better ripped protein formulas available. 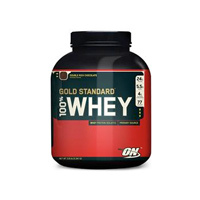 Is Optimum Nutrition’s Gold Standard 100% Whey the best protein powder to get ripped, lean and cut muscle? Pros: A popular blended whey protein that combines isolates, concentrates and peptides. Cons: A simple formulation that is slightly higher in carbs than other lean muscle protein powders and lacks added actives such as clinical fat burners or vitamins and minerals. Verdict: A popular protein powder formula that stacks up on protein for muscle maintenance, however on a cutting, ripped or shredding phase you may be better choosing a top ripped protein powder that contains added clinical fat burners. 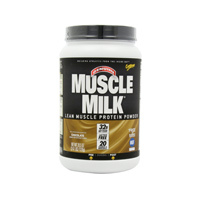 Is CytoSport Muscle Milk Powder the best protein powder to get ripped, lean and cut muscle? Pros: Not too many positives with this protein powder despite what is written on the label. Contains some protein and added nutrients but misses the mark as a top ripped protein powder. Cons: Low in protein, high in unwanted carbs and fat. Contains lower grade proteins (milk protein isolate) as one of the lead ingredients. Contains artificial flavours (rather than just natural) plus added salt. Verdict: While this popular protein powder claims on label to be a ‘Lean Muscle Protein Powder’ it simply doesn’t stack up. Don’t be fooled by the double serving suggestion (70g serve!) that attempts to boost its credentials. A smart consumer will look beyond the marketing hype on pack and know that it’s what’s on the nutritional panel that counts. So now you have all the facts to choose the best protein powder to build ripped, lean and cut muscle. We understand that everyone has different goals, budgets and priorities but we hope that this review will help you make an informed choice next time you are in store. More interested in muscle mass protein powder? Read our brand comparison review for muscle mass protein powder for building size. Watch the Ripped Lean Muscle video below to find out more. * The following protein powder review has been compiled from information on pack and manufacturer/retail websites. No responsibility is taken for errors, omissions, changes or inaccuracies. Want the best protein powder to build ripped, lean & cut muscle in 2019? 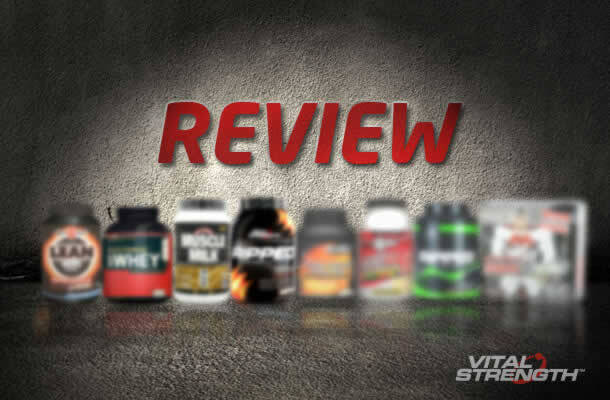 An expert review of popular & the best lean protein powder supplements in Australia.